Welcome to the GUMM blog! 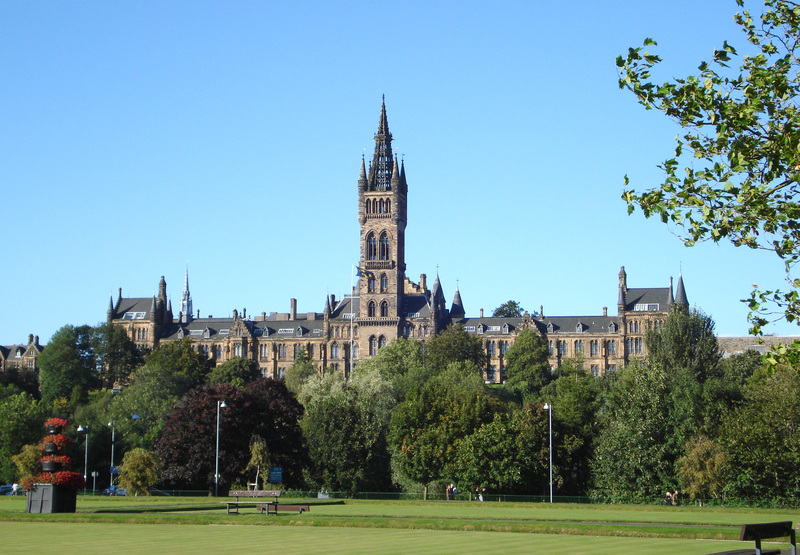 Welcome to the blog page for the Glasgow University Mary’s Meals Group! Here we’ll keep you up to date with all of our latest news, campaigns and events. That’s it! With the end of the semester we’ve also came to the end of an amazing year of fundraising, campaigns, events and socials from Glasgow University Mary’s Meals. Thanks to the unbelievable support of everyone in the Glasgow University community, we have managed to raise an incredible total of £2135.31 which will help feed 153 children for a whole school year! On behalf of the children whose lives you’ve changed, to everyone who has helped us reach this total, thank you because we couldn’t have done it without you! 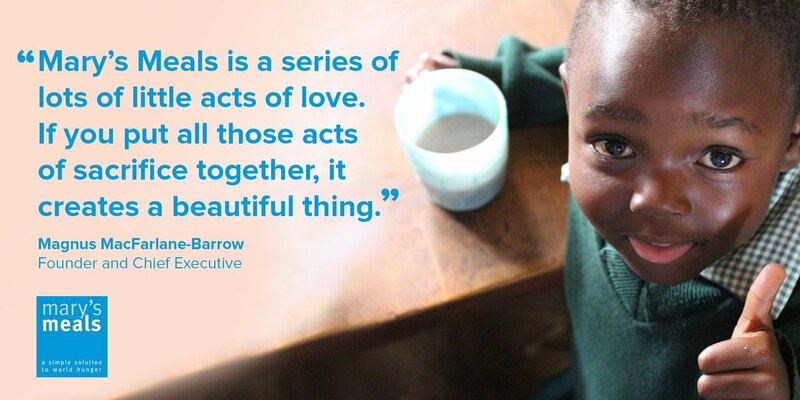 It’s been an unforgettable year for the Mary’s Meals society. From the massive success (and bland meal plans) of Porridge Week back in October, to meeting Magnus at our first joint event with the newly formed Strathclyde Mary’s Meals society just before Christmas; and from the glamour of the Volunteering, Clubs and Societies Awards, where we were nominated for Fundraisers of the Year, to the incredible inaugural day of #MarysMealsonCampus events across the country in March, we really haven’t stopped all year. There are two things that inspire us to put in the time and energy to make all these events, and many more, a reality: first, the knowledge that just a tiny effort on our part, and £13.90, is all that it takes to provide a kid with a year’s worth of Mary’s Meals and to change their life through education; plus, we know that we can always count on the generosity and support of the Glasgow Uni community who never fail to come out and support us! With the end of the semester came our Annual General Meeting and we are happy to announce our new committee for the 2017/18 year: Declan Prosser as secretary, Sarah Dobbie as treasurer and Blair Anderson as president. The members who’ll be leaving us (our two Hannahs and outgoing president, Ruth) will be missed by everyone at GUMM but we’re sure they’ll be back for all next year’s events, and we wish them all the best as they graduate! Glasgow University Mary’s Meals really is one of the best societies you can get involved with at uni – where else can you be involved in the most creative fundraisers on campus, make amazing friends and change children’s lives in the process? If GUMM sounds like something you want to be a part of, then keep an eye on our social media and look out for us at Freshers Fair in September, to find out how you can change the world, one bowl of porridge at a time. See you then! Tuesday 14th March saw GU Mary’s Meals last big event of the year with a panel event showcasing the strong links that exist between Malawi and Glasgow, especially Glasgow University. 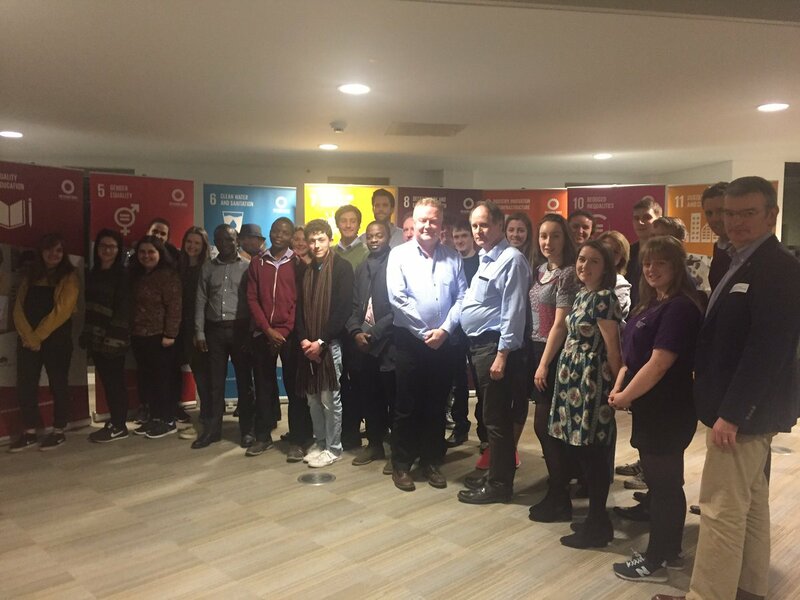 GUMM were delighted to partner with the fledgling GU MaScot Society to help with their first ever event: ‘Glasgow-Malawi: Partnerships for Development’. The event was organised and hosted by our very own Lawrence, who also happens to be one of MaScot’s founding members! Malawi has a very special place in the Mary’s Meals story. It was while travelling in the country during a terrible famine in 2002 that our founder, Magnus Macfarlane-Barrow, met a young boy called Edward who inspired Magnus to start Mary’s Meals with his simple request: “I would like to have enough food to eat and I would like to be able to go to school one day.” Since that day, Malawi has been an integral part of the Mary’s Meals journey, with over 880,000 children in the country receiving Mary’s Meals, making Malawi the home of our largest feeding programme – that’s more than 25% of all the primary school children in the country! The panel discussion saw contributions from a variety students, graduates, professors, and professionals, covering areas like education, development, research and healthcare. We were delighted to welcome David Hope-Jones OBE as our first guest speaker – what an honour to have the head of the Scotland Malawi Partnership at our event! It was great to have along Lucy Kirkland – Glasgow Uni graduate and volunteer co-ordinator for Mary’s Meals UK – to talk specifically about the work of Mary’s Meals and the massive impact it’s having in Malawi, especially with the recent Crisis in Malawi appeal in response to drought in the country. Claire Rankine and Chelsea Elder, project co-ordinators for SKIP Glasgow, were also talking about the work of the uni society in promoting healthcare education among young people in Blantyre, Malawi. Two of GUMM’s members, Hannah and Blair, will be going out with SKIP this summer to work on these projects in youth groups and schools – plus one of the primary schools they’ll be working in, Nancholi Primary, is a school that serves Mary’s Meals! This event was a fantastic opportunity to bring together loads of like-minded people who share in Mary’s Meals mission of sharing with those in need so that everyone in Malawi, and in the 13 other countries where Mary’s Meals works, can grow up in a world where no one goes without food or education. It was amazing for GUMM, MaScot, SKIP, and so many others to be able to come together and share their experiences and stories of their work. As a society, GUMM is always looking for new, innovative collaborations with other groups around campus, so if you’re part of another society and think we could work together, just let us know! You can drop us an email at gumarysmeals@gmail.com or get in touch through our Facebook page at www.facebook.com/gumarysmeals. Last Thursday, 9th March, saw the first ever nationwide day of student-led events under the #MarysMealsonCampus banner, and across the country, from Aberdeen to Exeter, the impact of young people in the Mary’s Meals movement was clear to see. With coffee mornings and bake sales being hosted by Mary’s Meals societies at Aberdeen, Glasgow, Strathclyde and Exeter universities, the blue tops were out in force at campuses all over the country. In total, the #MarysMealsonCampus events raised nearly £600, over £300 of which came from Glasgow’s very own Big Coffee Morning. Thanks to the support of the Students’ Representative Council, and all the staff and students who popped in over the course of the day, our Big Coffee Morning proved to be one of the biggest events of the year for GU Mary’s Meals. It is our hope that Thursday was just the first of many successful campaigns to come through #MarysMealsonCampus, and that the role of students and young people in the Mary’s Meals mission continues to grow with more and more societies forming at universities and colleges across the country, and perhaps the world. While we are always aware of the massive family of supporters, volunteers, leaders and children who make up the wider Mary’s Meals movement, #MarysMealsonCampus provides an opportunity for all the young people involved in this amazing mission to end world hunger to collaborate, co-operate and work together. Our first #MarysMealsonCampus day saw fundraisers across the country being organised by students, supported by students, and raising enough money to feed 42 children for a year, bringing them into the classroom, transforming them into students, and giving them the chance of a better life, free from poverty. We’re really excited to announce what is sure to be one of our biggest events of the year – plus the start of something special for the Mary’s Meals movement at universities across the country. Come along to the Williams Room at the John MacIntyre building for our Big Coffee Morning on Thursday March 9th. We will have tea and coffee (including varieties straight from Malawi, where Mary’s Meals has its largest projects) and tonnes of cake, including some for vegan diets. Also there are some amazing raffle prizes to be won – keep your eyes on GUMM’s social media in the run-up to the big day so you can see what you can walk away with. Our event is part of a wider movement with all Mary’s Meals uni groups – Glasgow, Strathclyde, Aberdeen and Exeter – hosting similar events on March 9th under the banner of #MarysMealsonCampus to showcase the contribution of students to the work of Mary’s Meals and to promote co-operation between our societies. We’re sure the day will be a massive success and we hope this year will be just the first of many #MarysMealsonCampus collaborations, with more societies hopefully forming at universities and colleges across the country. So make sure to come along on the day, treat a friend to a slice of cake and be the start of something special! Glasgow University Mary’s Meals were honoured and delighted to have been recognised at last night’s Volunteering, Clubs and Societies Awards ceremony! Having been nominated by students, GUMM were shortlisted as one of the Fundraisers of the Year, and we were in good company alongside supporters of Anthony Nolan’s work in blood cancer, and Languages for Water who work in support of WaterAid. While we didn’t come out on top on the night, it was an amazing chance to get to know some other charities on campus and we’d like to congratulate all the deserving winners on the night, especially the incredibly dedicated students at Languages for Water who won in our category. A special thanks must go to the amazing Erasmus Students Network who generously split their prize money between ourselves at GUMM and Coppafeel, who work to raise awareness of breast cancer. Thank you! The awards ceremony was a great opportunity to see all the incredible work that goes on from all the clubs and charities across campus. With over 300 societies at Glasgow Uni, it is amazing to have our work recognised and to make it into the top three fundraising societies is unbelievable, especially with GUMM being made up of a relatively small, but incredibly dedicated, group of students. Both at GUMM and throughout the Mary’s Meals movement, we pride ourselves on the high-impact nature of our work, and the simplicity and effectiveness of our mission where we work tirelessly to end poverty, one bowl of porridge at a time. It’s truly a privilege to be part of the Mary’s Meals movement – meeting up once a week, baking a cake and manning a stall is a tiny sacrifice to make when the promise of a daily meal in a place of education can change a child’s whole life, and we would love to bring as many people as we can along with us on this mission. It’s coming up for exam time but that hasn’t stopped us these last few weeks. 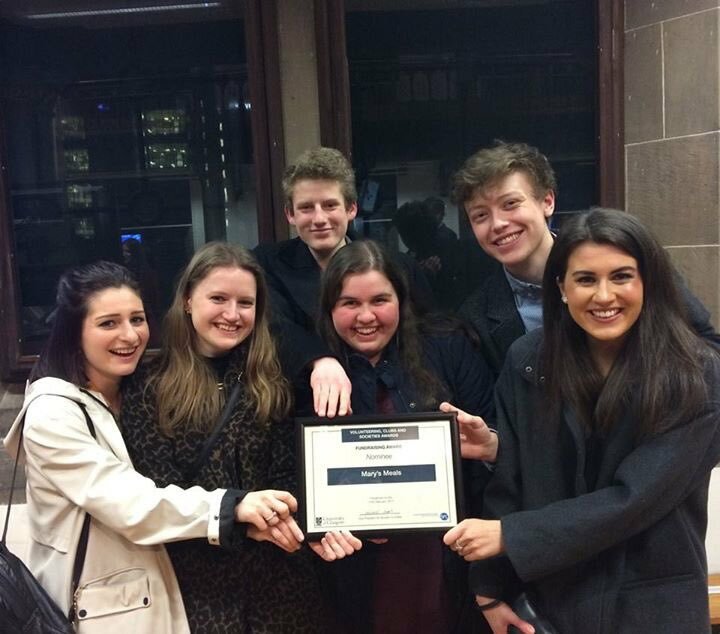 Last Friday saw the Strathclyde society’s first ever event and it was a massive success. Mary’s Meals founder and CEO, Magnus MacFarlane-Barrow kindly came along to speak about the charity’s work and introduce the main event of the evening – our screening of the award-winning documentary Generation Hope, showcasing the unbelievable impact of Mary’s Meals’ work on children around the globe. Hope really was the theme of the night – not only did we get to see once-needy children go on to university, employment and a chance of a better life, but a lot of people were inspired by what they saw and showed an interest in working with the groups in the months and years to come. Hopefully, Friday night will be just the starting point for the Strathclyde group to grow, the partnership between our two groups to flourish and for a lot of successful work in our future, to keep giving needy children the chances in life that they deserve and that we are so privileged to enjoy. After the film, some of the group got to speak to Magnus himself and ask him about his life and the amazing work he leads, while he was delighted to hear about all the work and fundraising that we get up to as a society. But that wasn’t all Magnus had to say, as the next day he was the keynote speaker at the annual Mary’s Meals Day in Edinburgh, aimed to bring together the extended Mary’s Meals family and celebrate all the successes of the past year. The hall was packed as we heard of the unbelievable challenges being overcome to keep the promise of a daily meal in a place of education to all the kids who rely on Mary’s Meals – be it airdropping supplies in the midst of the civil war in South Sudan or setting up projects in the refugee camps of Lebanon, the simple promise of a meal brings hope of a brighter future every day to those that need it most. These really busy past couple of weeks have made sure that GUMM goes out on a high, now that our work is coming to an end for the semester. Whether it’s been quiz nights, Porridge Week, film nights, hearing Magnus speak or selling porridge, we have hardly stopped this year and it wouldn’t have been possible without the generosity of all the friends and supporters of GUMM. Thanks to you we have raised well over £1000, feeding scores of children for a year, and made sure that everyone recognises the blue tops around campus. We’re looking to keep up the work in the new year, so watch this space for our next big event! In the meantime, follow us on all our social media pages and keep all those who depend on Mary’s Meals in your thoughts over the holidays. We are always looking for new members and big ideas, so spread the word and we will see you at our stall at Refresh!